Steam is recognised as one of the healthiest ways of cooking food as you don't need to use any fats when cooking meat, and all the natural goodness in vegetables are retained. Cooking with steam also helps retain the moisture in meat, keeping it tender and juicy. Before you decide on which appliance you want to buy, it's important to think about how you cook at the moment, and what you'd like to be able to do in your new kitchen. There are a number of options open to you in relation to steam ovens. 1. Neff, Bosch, and Siemens all have combination steam ovens which have functions which allow you to use steam only, steam and hot air, or hot air only. These compact appliances are 45cm high with approx. 35-38L capacity. 2. 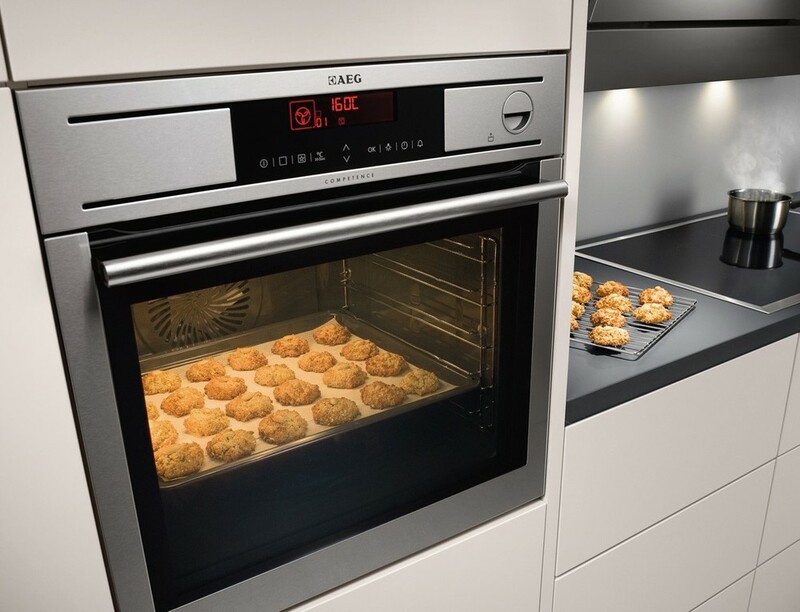 Neff have a 60cm high, 67L capacity oven which has an 'AquaAssist' feature. This adds moisture to the cooking process preventing foods drying out. This uses a combination of hot air and steam also. 3. AEG have one of the largest capacity combination steam ovens on the market here in Ireland. Their BS7304001M has a massive 74L capacity oven with soft close door. Again with this oven you can use a combination of steam and hot air, steam only, or hot air only. Why Buy Your Appliances From Us? All of the Noel Dempsey Design staff are trained to provide you with impartial advice on which appliances will work best for you and suit your lifestyle. We are agents for all the leading appliance brands, Neff, Bosch, Siemens, AEG, Britannia and Liebherr. Come see our kitchen showroom in County Wicklow, only twenty minutes from Dublin and Wexford.